Seeking fame and fortune, precocious teenager, Frank Abagnale, Jr., runs away from home to begin an unforgettable adventure. With nothing more than his boyish charm, a big imagination and millions of dollars in forged checks, Frank successfully poses as a pilot, a doctor and a lawyer – living the high life and winning the girl of his dreams. When Frank’s lies catch the attention of FBI agent, Carl Hanratty, though, Carl pursues Frank across the country to make him pay for his crimes. Congratulations to our cast and well done to everyone who auditioned, the quality was high and the decisions were hard. 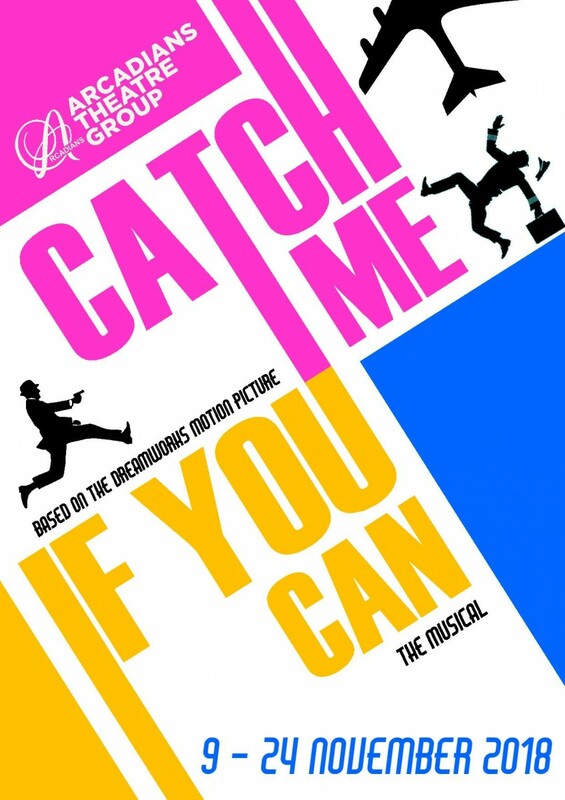 If you missed out this time please keep an eye out for our 2019 season to be announced soon and if you would like to help out with this production please email catchmeifyoucan@arcadians.org.au to register your interest. First rehearsal is Wed 25th of July at Corrimal RSL (upstairs). There will be a $20 deposit required for your script. If you are new to Arcadians, you will need to complete our Membership Form and give it to Liza at rehearsals either with cash or pay online as per the membership form instructions or see below. If you are renewing, fees may be paid via direct deposit into the Arcadians bank account. Account Name: Arcadians Theatre Group BSB: 802 249 Account Number: 126437540 Reference Number: 141 Surname First Initial (eg, 141GreenR) E-mail EFT receipt to: secretary@arcadians.org.au Cash payments can be paid directly to the Producer. A full rehearsal schedule will be available at the first rehearsal.